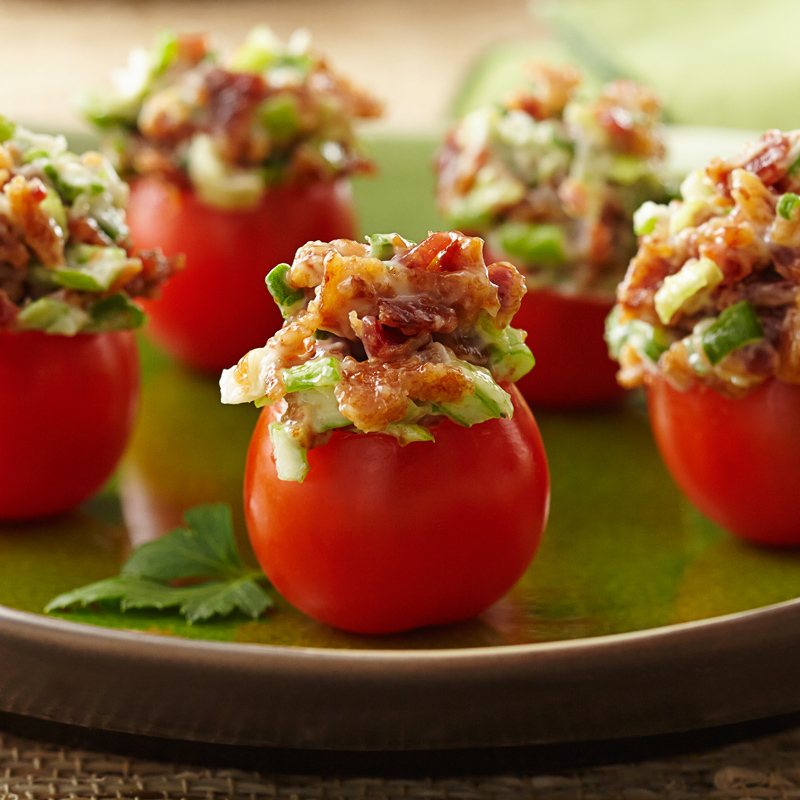 Bacon and NatureSweet® tomatoes – we can’t imagine a more perfect match! Wash tomatoes and place on a cutting board, stem side down. Using paring knife, cut a thin slice across the top, being careful not to cut through the tomato. Carefully scoop out the inside of the tomatoes, using a small spoon or strawberry huller. 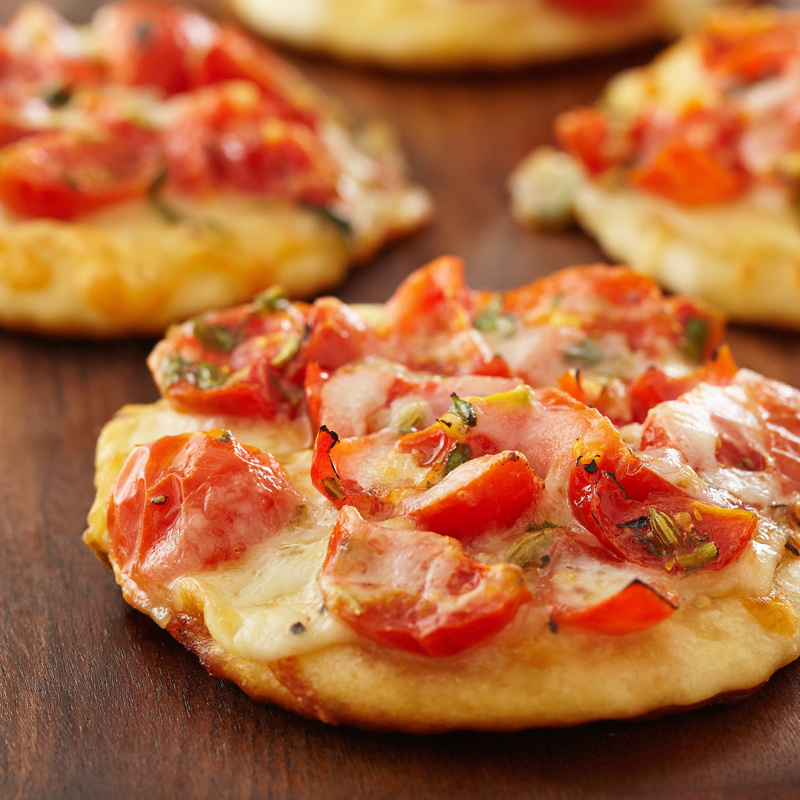 Place tomatoes upside down on a paper towel for 30 minutes to drain. Fry bacon until crisp and chop into small pieces. 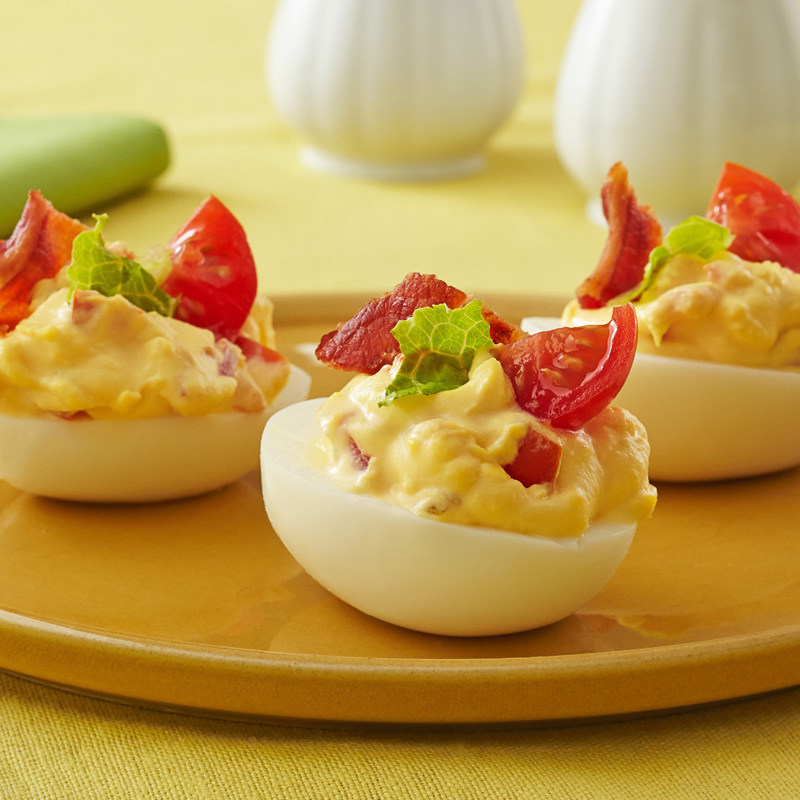 In a mixing bowl, mix chopped bacon, mayonnaise and green onions. Refrigerate 30 minutes before serving. Enjoy!